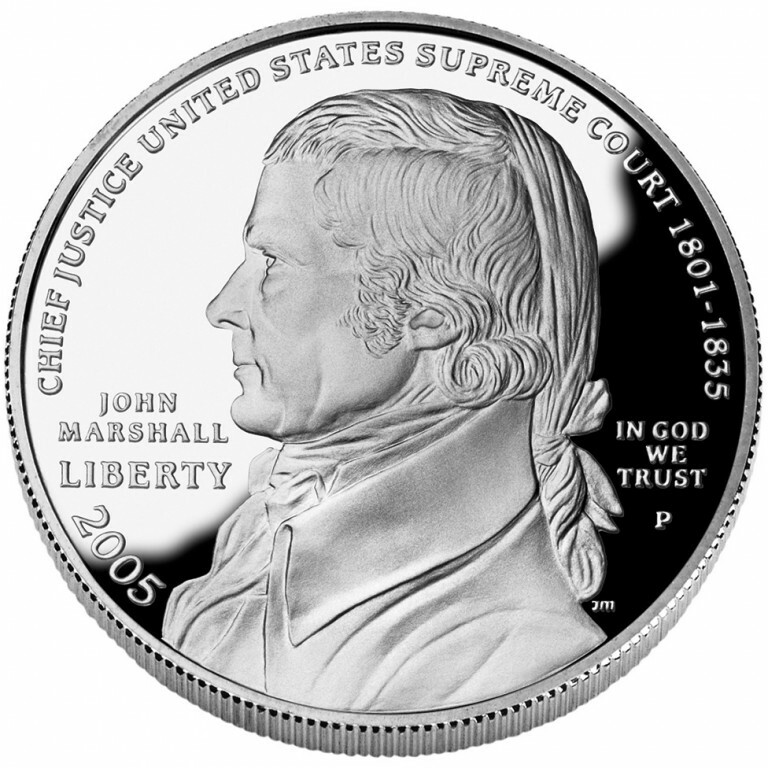 The United States honored Chief Justice John Marshall with a commemorative coin in celebration of the 250th anniversary of his birth. The Chief Justice John Marshall Silver Dollar not only paid tribute to the Supreme Court of the United States, but also recognized the entire judicial branch of government. 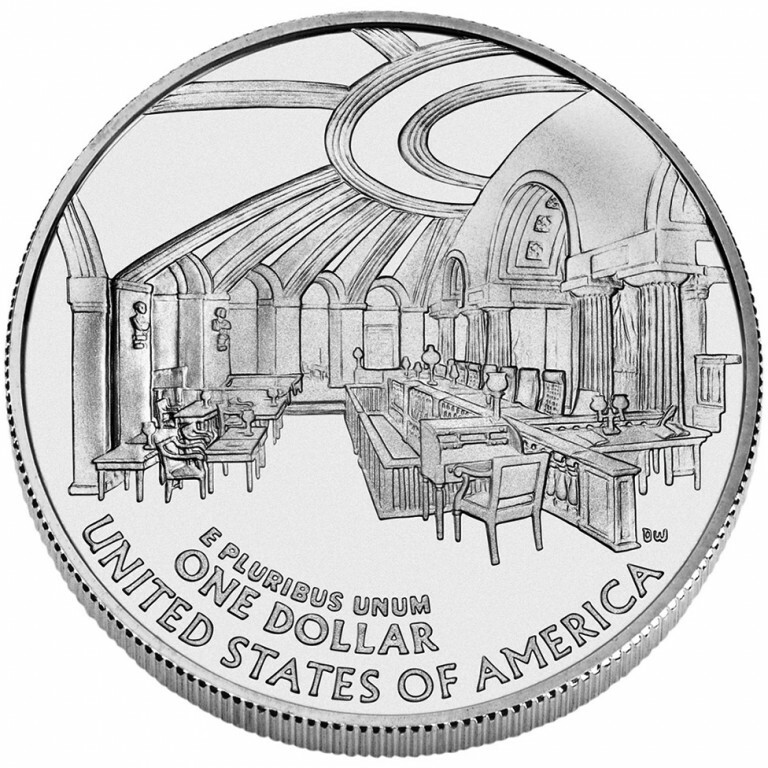 This was the first time a United States coin (regular issue or commemorative) had featured a Supreme Court Justice or the Supreme Court as an institution. Under Marshall’s leadership, the English practice of each Justice writing his own opinion was replaced with the Court’s speaking with one majority voice, a practice that remains to the present day. Marshall wrote the Court’s opinion in 519 of the 1,106 cases decided during his tenure–almost half. He championed the primacy of the Court through his power of persuasion, congenial manner, and shrewd sense of policy. The Chief Justice John Marshall Silver Dollar was available in both proof and uncirculated condition and had a maximum mintage of 400,000 coins. 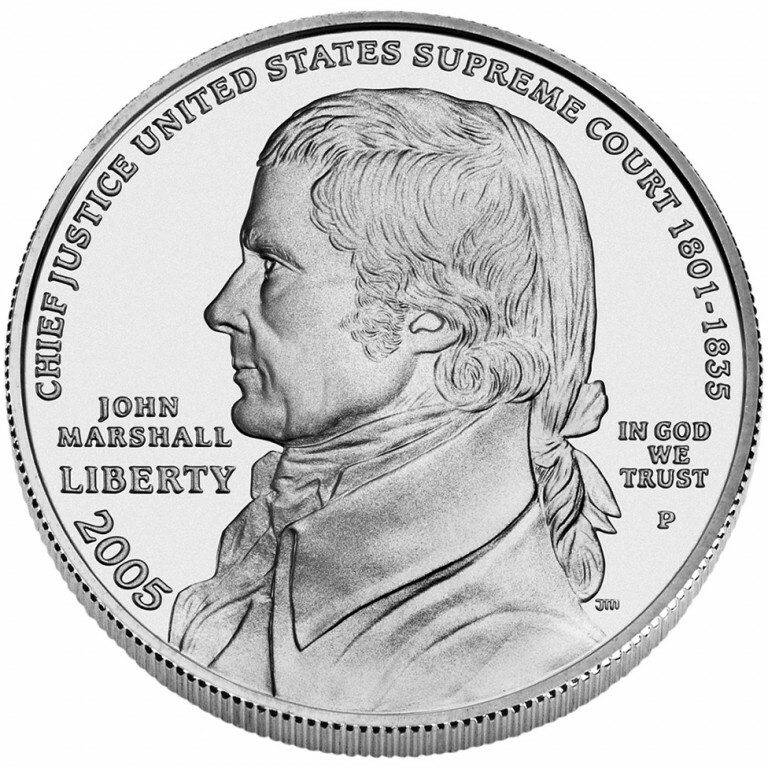 Coins were minted and issued between January 1, 2005, and December 31, 2005 to commemorate the 250th anniversary of the birth of Chief Justice John Marshall. These coins went on sale April 25, 2005. 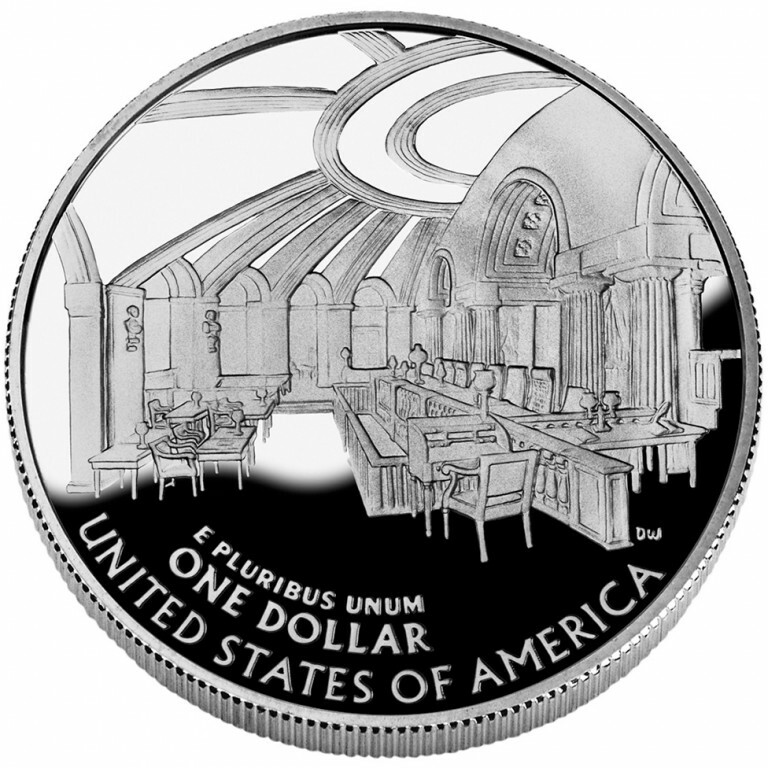 Surcharges from the sale of each coin were authorized to support the Supreme Court Historical Society.